IVF is an Assisted Reproductive Technology (ART) procedure used to treat a range of fertility problems. In IVF treatment, the process of fertilisation occurs outside the female body. A woman’s eggs are surgically removed from her ovaries via the egg collection procedure, and fertilised with sperm in a laboratory petri dish. Once fertilised, the embryo is implanted into the woman’s womb. Since 1990, IVF treatment and fertility specialists at the CRGH have delivered some of the best IVF success rates in the UK, both for fresh and frozen cycles. What is Abdominal Egg Collection? CRGH is able to offer transabdominal egg retrieval in addition to the more common transvaginal method. The abdominal route is used where the patient’s ovaries are difficult to access. It can also be performed where there are cultural or religious factors, which make the transvaginal route inappropriate or undesirable. Transabdominal egg retrieval is performed under general anaesthetic. The doctor reaches the ovary using a needle through the abdomen, guided by continuous ultrasound. Your CRGH clinician will be pleased to discuss your options as part of your treatment plan. 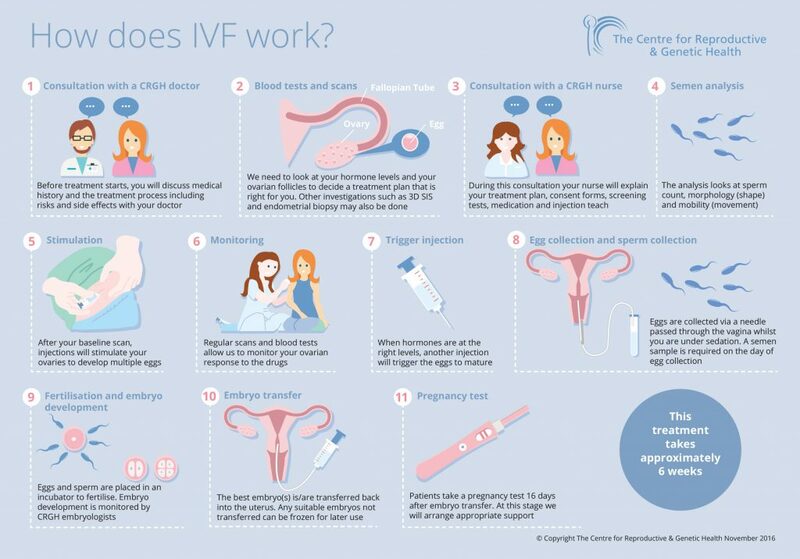 In IVF treatment, fertility drugs are given to the female partner to stimulate the production of multiple eggs which are contained in follicles on the ovaries. Progress is monitored using ultrasound and blood tests. When the leading follicle reaches 17-22mm, the final preparation for the egg collection is done. This involves a hormone injection of human chorionic gonadotrophin (hCG), which is given approximately 36 hours before the egg collection. The hCG injection stimulates the eggs to mature. The egg collection procedure is usually done using light sedation. 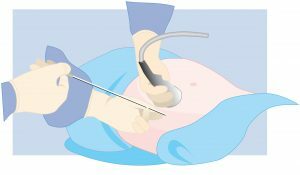 An ultrasound guided vaginal probe is used to locate the follicles and aspirate its contents. The eggs are then placed in culture in our state of the art laboratory. It is difficult to determine the number of eggs that will be collected until the procedure. In rare cases, no eggs are collected. In these videos Paul Serhal explains more about the egg collection procedure. Eggs are placed into a petri dish with sperm, and left to fertilise and develop under close observation from the embryology team. Once the embryos have developed, the embryologist will select one to be transferred back to the womb during an embryo transfer procedure. It is a painless and quick procedure. The embryo(s) are loaded into a fine catheter and this is placed into the womb and the embryo(s) are expelled. 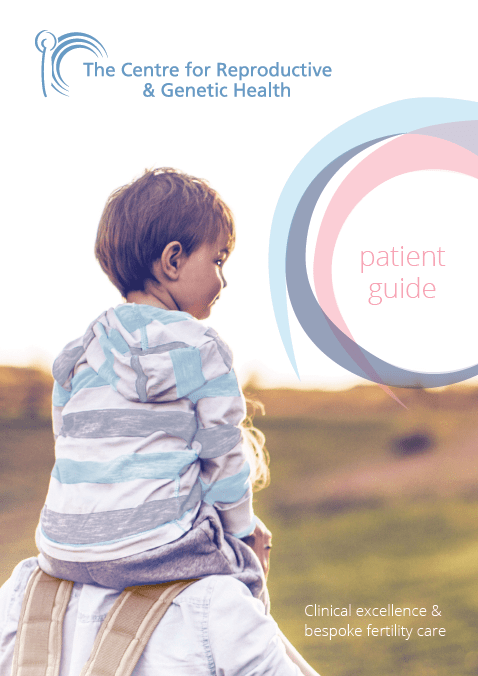 After the embryo transfer, the patient can resume her usual activities. Two weeks after the embryo transfer, a pregnancy test should be performed and CRGH should be informed of the result. How long do embryos take to develop? The day after the sperm is mixed with the egg, embryologists will look for signs of fertilisation. The following day they will check to see if the embryo has cleaved. Embryos can be transferred at any stage from day 2 up to day 6. By day 5 or 6, the embryos should reach the blastocyst stage. The embryologists monitor and grade the embryos very carefully. In the majority of cases, if the embryos have developed well we would recommend a single embryo to be transferred to reduce the risk of twins. If a blastocyst transfer is going to take place, we will only normally transfer one embryo in patients under 40 years. All good quality embryos that are not transferred will be frozen. CRGH has a very high pregnancy rate for frozen embryo transfers. This gives a very high chance of getting pregnant in a subsequent cycle without having to go through the whole IVF procedure again. What are the hurdles of starting IVF treatment?